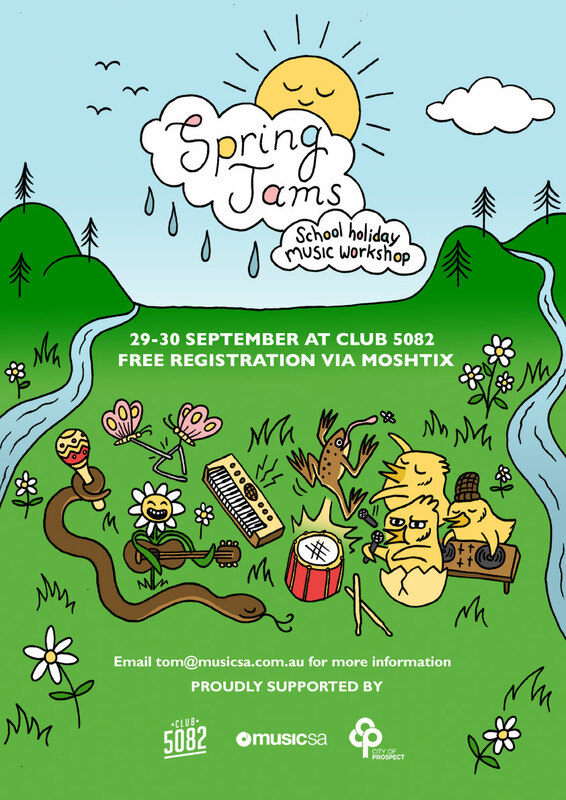 Spring Jams is a free school holiday song writing and live performance workshop for 13 - 17 year olds, mentored by qualified Music SA staff at Club 5082 in The City of Prospect. This holiday program is strictly limited to 25 places. Students should have some basic - intermediate musical instrumentation or vocal experience at a high school lever. Dinner will be provided to students on Sunday. Students to provide their own lunch on Saturday and Sunday. The register, provide your full name and email address so that your childs place in the program can be secured. Once this is complete via Moshtix, you will be emailed an enrolment form and a copy of the 2-day program.